The tower was built in 1848, well after the rest of the castle (which dates back to the twelfth century). 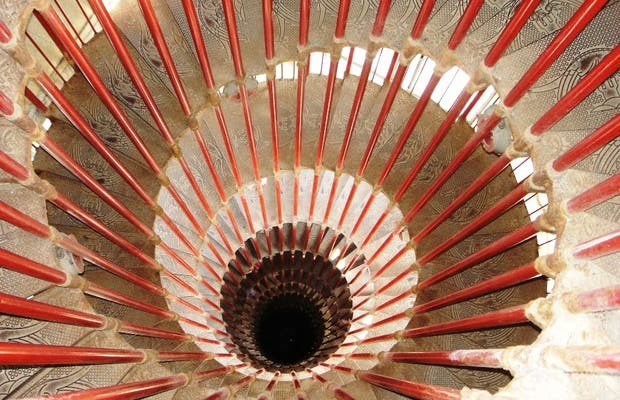 To access the tower, you have to climb about 150 steps up a spiral staircase. And if memory serves me, at the bottom was a frescoed chapel. The entry cost about 3 euros, but it's worth it; the views of the city are spectacular. The main attraction of Ljubljana city normally has bad reviews. To access it you have to catch a funicular train up the hill. At the top is an old castle with a massive, refurbished tower from which you can see the whole province. There are also pictorial museums inside, at least there were when I went. It's worth going if you are in the Slovenian capital.